Cadillac is offering drivers what it is calling a “bucket list” opportunity” to push the limits of the Cadillac ATS-V and the CTS-V on a race track. The event is being called the Cadillac V-Performance Lab Advanced session and drivers will receive personalized instruction from Cadillac Racing driving champion Johnny O’Connell. The Cadillac V-Performance Lab will take place at the Circuit of the Americas track in Austin, Texas. There are two different Performance Lab experiences being offered for two different prices. All for $1,295 per person. However the price tag is much higher at $3000 per person and drivers must qualify to attend. The CTS-V is a hot car with great handling. Its 6.2L Supercharged V8 has 640 horsepower with 630 lb-ft of torque. It goes from 0-60mph in 3.7 seconds. Its top track speed is 200 mph. The CTS-V is the fastest production Cadillac ever. Cadillac also offers what is called a V-Performance Academy for new owners of Cadillac V-Performance cars. 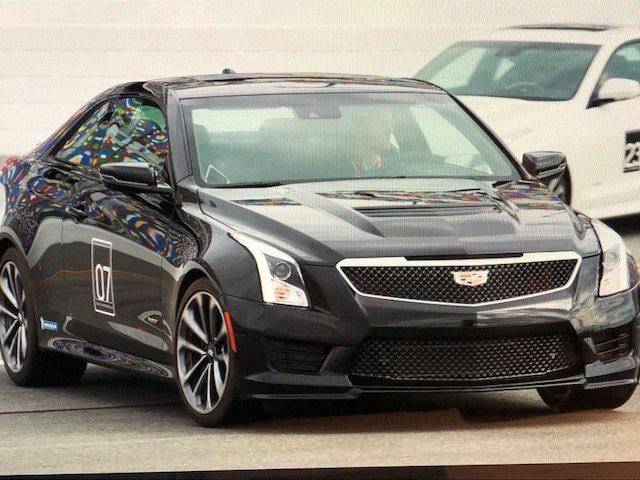 According to Cadillac, “Cadillac V-Performance Academy is an exclusive opportunity to test the motorsport pedigrees of the CTS-V and ATS-V on one of America’s most demanding racetracks. Our experienced instructors will guide you to explore the limits of each vehicle’s power and capabilities, while expanding your high-performance driving skillset. The academy is Included at no additional cost for new 2017 and 2018 V-Series owners and available to non-owners who are interested in purchasing the program. More information on all of the V-Performance programs is available at WWW.Cadillac.com.